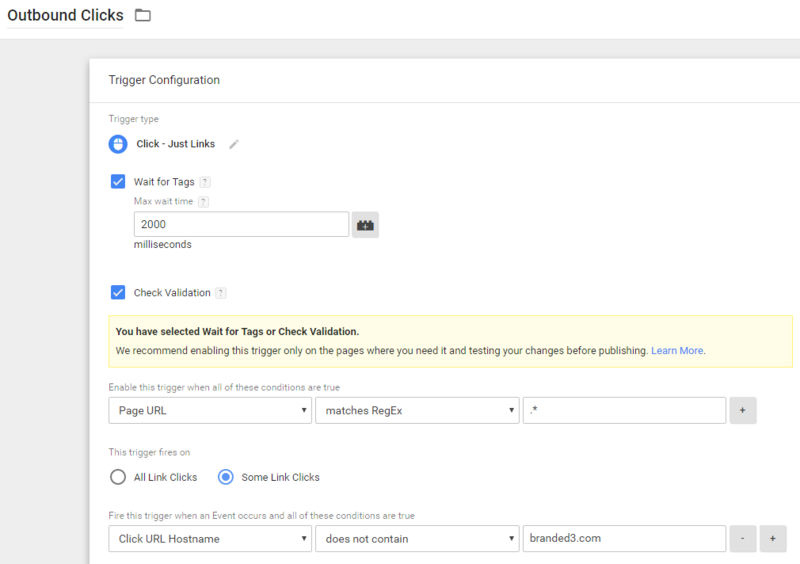 How to automatically track events with Google Tag Manager - Edit. Event Tracking with Google Analytics is essential for measuring actions on your website that aren’t just page loads. This can include tracking PDF Downloads, usage of dynamic filters, and clicks on external links. Events can be tracked as goals if they are valuable to the business. It should be noted that this post will cover Event Tracking in Universal Analytics (analytics.js), not the older version of Google Analytics (ga.js). If you have not yet migrated to Universal Analytics, I have written a migration guide you might find helpful. Before I start talking about specific events, let’s talk about how to set up an event in general. Setting the tag for Event Tracking is the same process every time. The difference comes with creating the triggers that fire. PRO TIP: Sort your event tracking tags into folders for easy management. The first thing you need is a trigger that states “fire if someone clicks on a PDF link”. Go to the “Triggers” section of Google Tag Manager and create a new trigger named PDF Click. This can be replicated for other file types such as .jpg, .xls, .mp3, and so on. PRO TIP: A similar approach can be taken to tracking people who click on e-mail addresses and telephone numbers from a mailto: or tel: link. Change the Click URL contains to mailto: or tel:. This tracks clicks on links not actual e-mail sent or calls made. You may want to reverse Category and Action depending on how you generally configure events. I like to have “Action” as the action taken (e.g. they downloaded a file), but some people prefer to have “Category” as the larger encapsulating feature. As long as you are consistent with what you consider a “category” and what you consider an “action”, that’s all that matters. If you want to see how often you’re sending traffic to other websites, you can track external link clicks. Before we set the trigger, we need a variable that finds the domain name (hostname) contained within the URL that can be clicked on. To do this, go to the “Variables” section of Google Tag Manager. Create a new user defined variable called “Click URL Hostname” with the following criteria. Replace “yoursite.com” with your domain name. Note: This method depends on how your website has been coded. You may have to get a developer involved, but it is possible without! 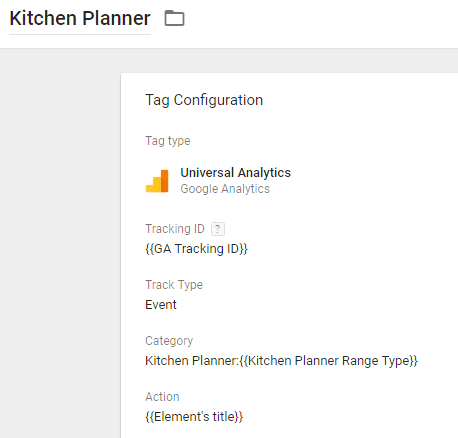 The example I’m going to use is tracking clicks on all of the components of Wren Kitchens’ kitchen planner. 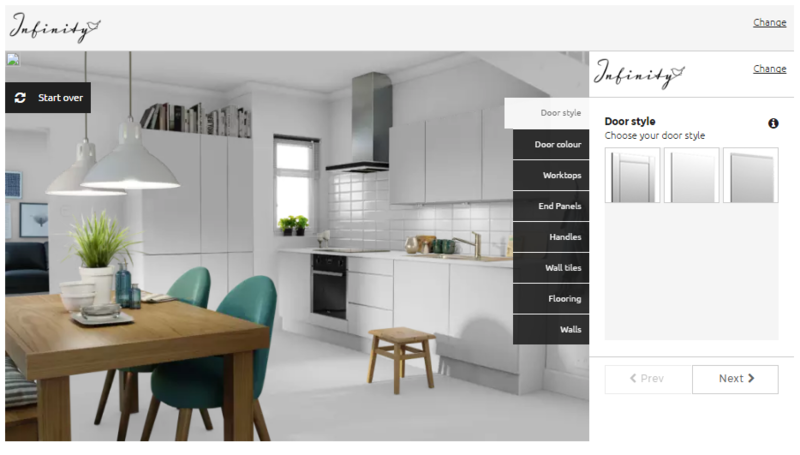 We wanted to measure which selections were made the most from door styles, worktops, and so on. Each link has a title that relates to the names of the product type. 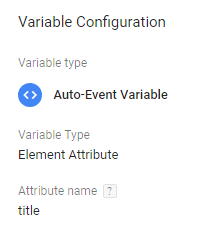 Using Google Tag Manager we are able to extract the title attribute when clicked and it is assigned to the event. Before we set the trigger, we need a variable that finds the title within the element that can be clicked on. To do this, go to the “Variables” section of Google Tag Manager. You can do this for any sort of element attribute – such as alt tags – and you only need to change the attribute name. Amend this as relevant to your website. The Event Tag uses the Title Variable to pull in the event action. If you have any queries about Event Tacking or Google Tag Manager, please feel free to get in touch.